In order to keep your yard looking its best, you will probably need a high quality Fayetteville irrigation system to get the job done. Here at our Fayetteville landscaping company, we are specialists in all things related to outdoor environment enhancements for both residential and commercial clients. Now, we look forward to working with you and providing you with the Irrigation Systems you need to keep your yard and landscaping looking its best. As a locally owned, small business, it might be easy to assume you can’t get the same level of expertise as with bigger corporations – but you know what they say about assumptions. The good news is that we offer the same level of professionalism but with the attention to custom details and individual care that only small businesses can. Let us show you in person how dedicated we are to offering the best in workmanship, customer care and results for each and every job that we take on. In order to keep your lawn looking lush and green, you need to be able to keep it hydrated and healthy. Aside from making sure you can be there to water it with a hose all the times it needs it, and make sure that you get that water distribution perfectly even, the way to go is with one of our customized irrigation systems. This is the perfect way to make sure that your lawn is watered as it should be and the system that we can devise will take care of this for you. 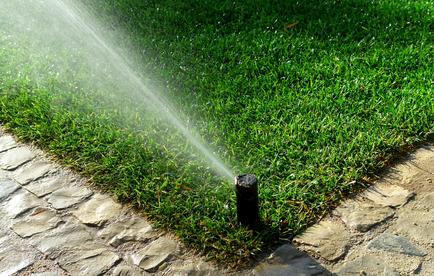 We will design and install your irrigation system and get you set up for using it. We are all about educating our customers about the services we offer and how it can benefit them, as well as making sure they are set up fro success when using it. We will also be available for helping in any way after the system is set up to help you if you need. We care as much about you getting the perfect yard you want as you do so give us a call today so that we can get started working on your perfect yard. 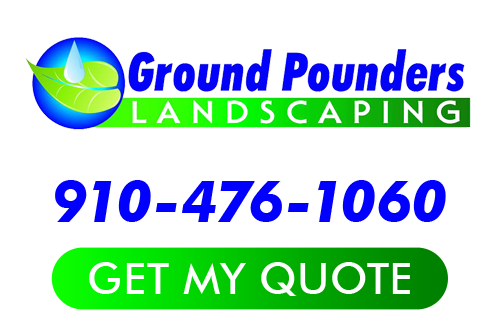 Since 2007, Ground Pounders Landscaping has been the name locals call on for all outdoor environment enhancement services, including Fayetteville irrigation systems. Now, let us team up with you in order to provide you with any quality service you need that can improve your lawn and help you to better enjoy your own great outdoors. We look forward to working with you and helping to ensure that you finally get the results that you want for a lawn so perfect, it will make your neighborhood green with envy.